Pamplin Media Group - What was West Linn like in the 1950s? What was West Linn like in the 1950s? 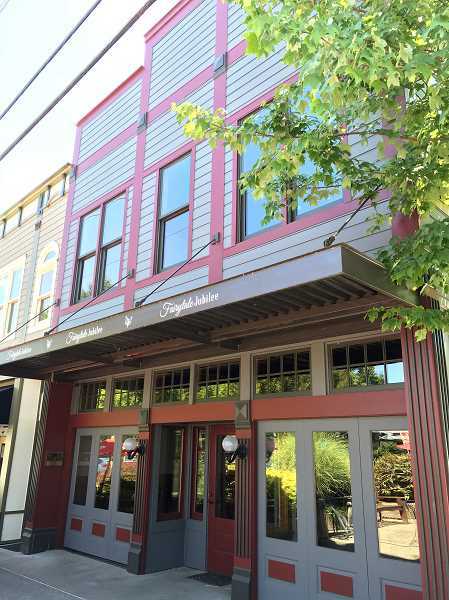 Editor's note: West Linn native Ken Cameron has shared some of his memories of growing up in the Willamette area, "back in the day" when West Linn was a small town with a big paper mill. Part one of this essay appeared in the June 28 issue of the Tidings. We moved to Willamette when I was 4 years old, so that must have been 1957 or so. 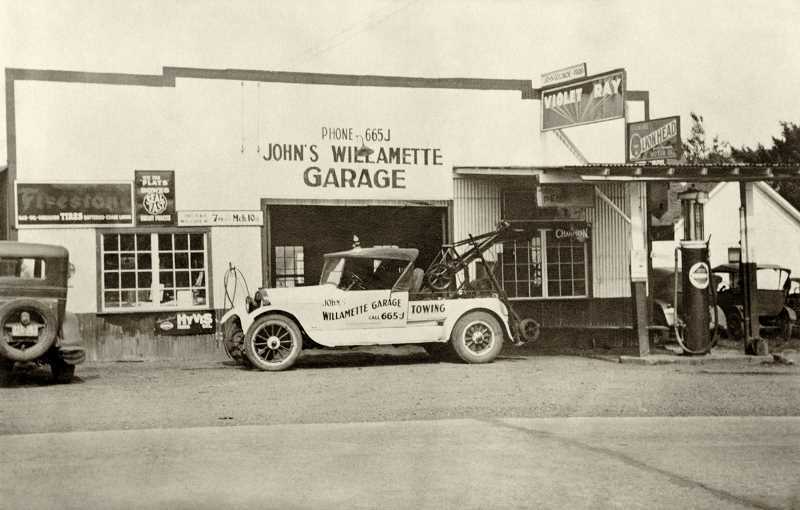 Downtown Willamette was much different then, way different from the upscale bedroom community it is today. There were three grocery stores, two taverns, a drugstore, barber shop, welding shop, two gas stations, a fire station and a hardware store, all crammed into two and a half blocks. 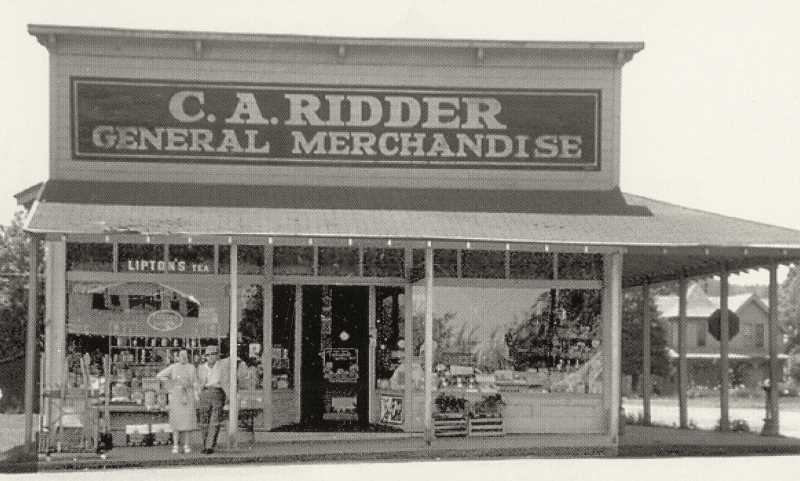 On the corner of 13th and Main was Ridder's Store, as close to a real old-timey general store as you could get. They carried a little bit of everything, from groceries (canned and boxed only, nothing perishable), to hardware, a little clothing, even some fishing gear. Clear in the back was seed and feed; I used to go there to buy pellets by the pound for my rabbits. They kept most of the lights off and when you came in Mrs. Ridder would go around turning lights on in the areas you needed and would turn them off when you left. They had an office in the back with a roll top desk and an honest-to-gosh pot bellied stove. Even the outside of Ridder's was old-fashioned. There was a hitching post near the corner that was still used every so often. There was also a constantly running drinking fountain that would "somehow" get plugged up during really cold weather, running down the street, creating an ice slick perfect for sliding on. The side wall of the store was covered with initials and names carved into the wood. I don't know why we did it, but we did. I took a close look just a few years ago and despite decades of paint layers some of them are still faintly visible. Across 13th from Ridder's was a private home. An old lady lived there and she always had a huge vegetable garden. Back then most people had some sort of garden, at least with tomatoes, cucumbers and zucchini. Now most folks just grow bark dust. Her spring peas were invariably held off the ground by tree branches gleaned from neighbor's yards. They ended up looking like a ball of variegated yarn that had been attacked by a litter of kittens. Next was another private residence, the apartment of Kathy St. Jakes. She loved to sit on her bench on the sidewalk outside her front door and watch the traffic and talk with people. Everybody knew her. She died just a few years ago. One of the things that Kathy watched was the stream of folks going in and out of her next door neighbor, Clyde's Tavern. Like Mark's, I never ventured inside, but I walked or rode my bike past it on an almost daily basis. I do have one fond memory of the place, though. Apparently there had been a "discussion" inside between the owner of a 4-wheel drive pickup (a rarity back then) and a guy with a farm-style flat bed truck over which had the best pulling power. They got them tail to tail, hooked them together with a thick hay rope, and gunned it. I was there with my dad, watching, along with a couple of dozen other rubber-neckers. I imagine that if the rope had come apart there would have been a few injuries. But it held, a lot of tire smoke was produced and the contest was called a draw. So much for an exciting Saturday afternoon in downtown Willamette. Once past Clyde's you came to a business that is essentially extinct today; the lockers. I don't remember the actual name; it was just referred to as the lockers. It was a giant walk-in freezer where you rented a cubicle measured in cubic feet to put meat and produce in. Almost no one had freezers in their houses back then. You paid your monthly rent, supplied a lock and stocked up for the winter. This place was especially popular among hunters and fishermen; well, at least those who were successful. It was also a nice place to visit on a hot summer day. Next came Buckle's Grocery, the only full service grocery store in town. Mr. Buckle had a partner named Mr. Winkle and when Mr. Buckle died (I was told it was while he was standing behind the cash register) the store magically became Winkle's Grocery. When the Ridders finally decided to retire Winkles moved into that building. Mr. Winkle was the butcher at his store and also the driver of the fire engine for the volunteer fire department. I was there one time when the old siren on top of the station went off and he came running out of the store, still wearing his bloody butcher's apron, to back the truck out. Cars came up from all directions and men piled out. Most interesting was the number of volunteers that came running out of Mark's and Clyde's to climb on the truck. Despite that, I remember my folks saying that the fire insurance rates in the Willamette area were cheaper than those in Oregon City, which had a full time professional force. Across 14th from Buckle's/Winkle's was the Methodist Church. As a kid I was only in there once when my older sister, Sue, did a piano recital. She had been taking lessons from the incredibly ancient Mrs. Bartholomew and it was time to show off. The next time I was there was for my dad's memorial service just a few years ago. The house next to the church was where the pastor lived, called the parsonage. I'm pretty sure this tradition is essentially gone now. Crossing Main Street from the parsonage brought you to Dollar Street. At the western corner was the Gas Station. I assume it was affiliated with some petroleum company but to us it was just the Gas Station. It was also the only place in town that had an air pump to fill your bicycle tires. That was the extent of our interest in it.